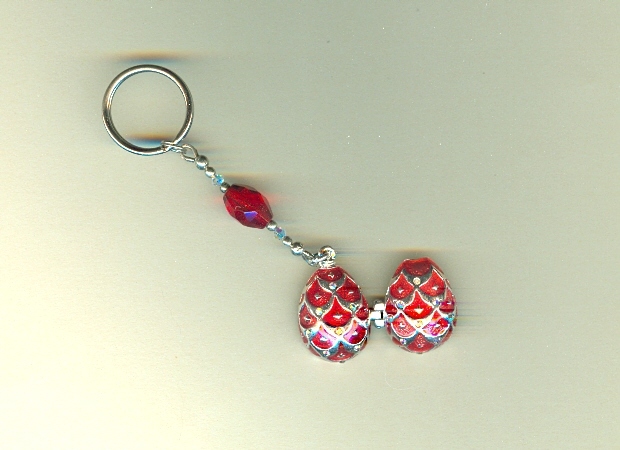 The lovely pewter locket is enameled bright, luxurious red and is studded with tiny crystal aurora boreale rhinestones. The locket is attached to a sturdy nickel split ring by 1-3/4 inches of co-ordinating glass and crystal beads. Included in the purchase of this item is a special message about SUCCESS contained within the locket. Concentric rings of colour make this pendant a pleasing eye-catcher. 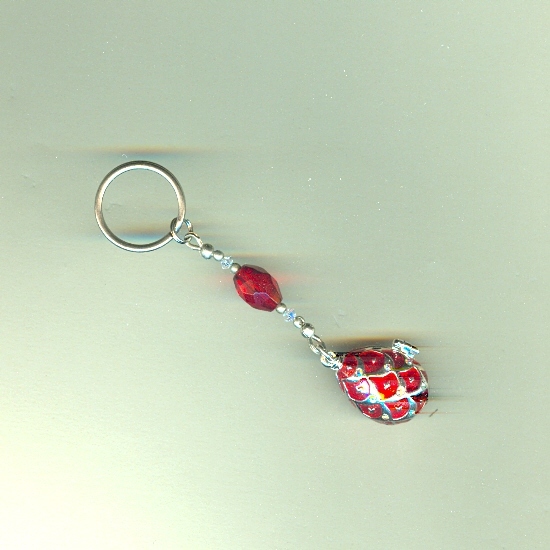 Opaque red glass heart charms look just like cinnamon candies!